There are 1,689 items available. Please enter a number less than or equal to 1,689. Positive very fast shipping great experience AAAA!!!!! This stuff is awesome! I’ve used it on gun and ammo belts, shoes, leather motorcycle saddle bags, belts, etc. 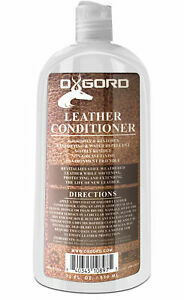 You can take just a small amount and it’ll make your leather products shine and last longer. I’m serious, this stuff is perfect for me; a college student and being cheap as all get out this is great product with a huge bang for your buck. I have used it on Guitar amp tolex and leather guitar straps. Conditions well. East to use, with beautiful results - great value! Excellent! Used to restore my old Honda Accord's leather seats and riding boots. I highly recommend product! Did wonders for my old expensive purses and couch. I also see that it made my shoes look like new again. Love this stuff. I tried this on some dry boots and belts and also Used on the vinyl in a 20 year old Lincoln....... there Is a noticeable spruce up a.Use several light washes And leave it. So I like fine.